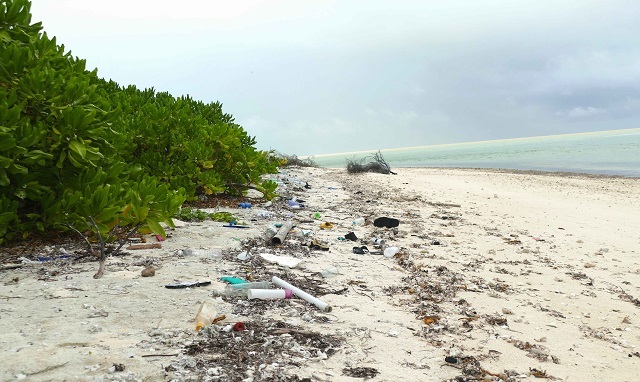 (Seychelles News Agency) - A group in Seychelles, the Island Conservation Society (ICS), has raised concerns over waste being collected on the nation’s outer islands after a recent beach cleanup activity on the remote St. Francois Island. St. Francois, which lies 400 kilometres southwest of Seychelles' capital Victoria, is one of the two atolls in the Alphonse group. 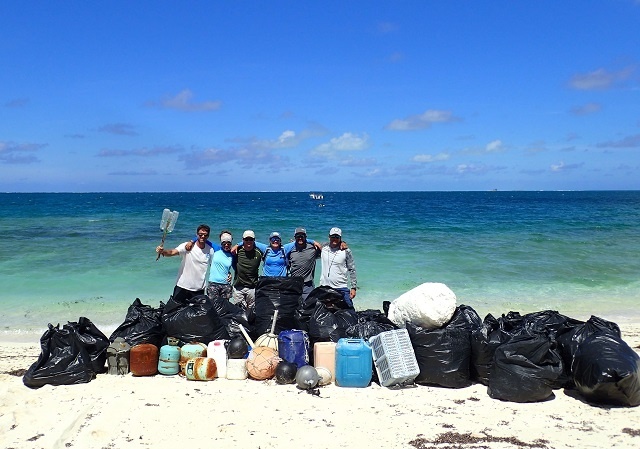 The Island Conservation Society has been actively attempting to reduce the impact of marine litter on the Alphonse Group for over 10 years since it was established as the first Conservation Centre for the Outer Islands of Seychelles, a group of 115 islands in the western Indian Ocean. Nogués said that despite continuous efforts over the years the incidences of marine debris ending up on the shore of the islands have continued to rise. “I have been observing the impact which litter has been having on this group of islands since 2014. At times this has been really hard to experience, but also it is encouraging to see the commitment from both guests and staff in trying to address the problem, by actively removing debris off our sandy beaches. This is the type of approach we have been trying to promote in order to tackle this issue globally,” Nogués said. The conservation officer said that marine litter is a global environmental problem with items of debris now contaminating habitats all over the world. The President of Seychelles, Danny Faure, played his part in shedding light and creating awareness on this issue of marine debris at the recent Group of Seven (G7) nation’s summit. Faure showed photographs of the damage being done to the island nation’s Aldabra atoll -- a UNESCO world heritage site -- by plastic pollution and other types of waste coming from the rest of the world. Faure told the roundtable of small islands developing states at the G7 summit in Quebec, Canada that Seychelles and other small island countries already had enough of a challenge managing their own waste, and didn't need to take on the rest of the world’s. The Island Conservation Society’ conservation officer said in order to address the issues surrounding plastic pollution, the society has been quantifying the impacts of plastics to the Alphonse habitats and wildlife as well as determining where marine plastic pollution is coming from and where it goes to. “Today, we have started working alongside with other stakeholders in order to identify solutions such as alternative products to plastics. We are also encouraging behavioural change in order to drastically reduce marine plastic waste with the aim of having a plastic-free Alphonse Group,” Nogués said.